If your centre doesn't appear here, give us a call on 0408 292 131 to see if we can start a GrowFit class in your area. Can't find your child's centre? These are the times we are at your centre. Now, select the appropriate class for your child’s age. 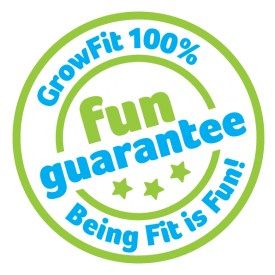 Our GrowFit classes correlate to the NSW school term and are usually 10 weeks in length. Check out the term dates here. Each class is $11.50 (+GST) for Let's GrowFit or $17.50 (+GST) for Da Fit Club, we multiply that by the number of weeks left in the term. You might have a few questions, thats fine we’ve answered most of them right here. You can also shoot us an email at info@growfit.com.au or call Mike on 0408 292 131. We have a FUN GUARANTEE and after 3 sessions if your child isn’t having fun we’ll give your money back for the whole term.